In recent times, the Cyprus Investment Program has proven to be an exceptional tool or weapon against the economic crisis that befell Cyprus and generally all of Europe. It’s become a very popular method in gaining a free travel pass in countries around Europe, it opens new avenues from a business and educational perspective and this has attracted many high net worth individuals, investors and entrepreneurs from around the world. The actual procedure is basic for those who are indeed interested in purchasing Cyprus citizenship but like all other legal matters, the investor will be entitled to follow a set of rules and will be introduced to terms and conditions which need to be abided by. The changes took place on June the 15th, 2018 upon approval of the Council of Ministers. 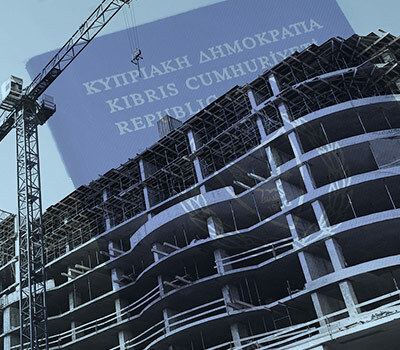 The scheme was renamed from Cyprus Citizenship by Investment to Cyprus Investment Program. A maximum cap has been placed to 700 applications per year to be accepted. This limitation applies only to the main applicants and not their family members. The submitted application examination period in accordance with the Cyprus Investment Program is 6 months. All Cyprus Investment Program applications should be submitted on behalf of the applicant by natural or legal persons who are registered with the Registry of Certified Service Providers. The registrations of new members will be examined and approved by the relevant departments within the Committee of Supervision and Control. A new Code of Conduct has been established in order to maintain and enhance the trust of the applicants and protect the Cyprus Investment Program. The Code of Conduct will be met by all applicants of the Cyprus Investment Program. Also, guidelines have been set for the promotion and advertising of the Cyprus Investment Program. Due diligence will be conducted on the applicant and a report will be issued through an internationally accepted database, these will be required to be submitted with the application of the main applicant and the main applicant’s spouse or parents. In situations where the investment involves the purchase of a property or many properties that are under construction and the Town Planning Permit has not yet been obtained, then the mandatory 3-year period of maintaining the investment will commence on the date the Permit has been issued. Finally, the Minister of Finance is authorized to carry out evaluation studies on the Cyprus Investment Program and its effects on the economy. Revisions can be taken by the Committee of Supervision and Control to improve further the implementation of the Cyprus Investment Program. Furthermore, investment opportunities have increased substantially and Cyprus has taken important steps to attract foreign investment. To learn more about this scheme be sure to check our service on Cyprus Investment Program.